(by Nino Orto) In the Sinai the largest military operation since the war of October 1973 against Israel is ongoing, however, so far little has emerged to shed a light on the real motivations behind it. In February, Egypt’s President Abdel Fattah al-Sisi, moved hundreds of soldiers including special forces, tanks, armed personal carriers, as well as heavy engineering equipment in north Sinai and ordered his officials to crush jihadist militants after an attack on a mosque in November killed 300 people in the deadliest terror attack in the Arabic country so far. Officially, the main goal of the campaign “Sinai 2018”, is to eradicate the Islamic State group in the Peninsula which, according to Egyptian reports, can rely on 1,000 well trained and equipped fighters that since 2011 have carried out hundreds of operations targeting the Egyptian Army and military outposts. Yoni Ben Menachem, senior Middle East analyst for the Jerusalem Center for Public Affairs, recently stated that the Egyptian army has launched a large-scale military operation in northern Sinai to create a five-kilometer buffer zone between Egypt and Gaza. “There is a broad understanding between Israel and Egypt as Islamic State’s militants in Sinai are a common enemy and this is why Israel is much more moderate when it comes to Egyptian presence in Sinai in contrast to the Camp David Accords. It is becoming a priority of El-Sisi as he realizes this is the main front for a future stable Egypt under his leadership” stated Uzi Rabi, Director of the Moshe Dayan Center for Middle Eastern and African Studies at Tel Aviv Universtity . Rumors indicated that with the Sinai Campaign al-Sisi may be putting forward a clean-up of the area in preparation for the implementation of the “Deal of the Century” of US President Donald Trump, in which Al-Sisi accept to give parts of the Sinai to the Gaza Strip in order to establish an independent Palestinian state on Egyptian soil in accordance with the Israeli government. “The future Palestinian state would be closer to an autonomy in line with the Camp David Accords. It would include- and it goes along with Trump’s “Century Deal”- an extension of Gaza to include part of Sinai and a nation that would control the A and B zones in the west Bank, as to create a demilitarized “mini state” which is supported by Jordan and Egypt respectively” Mr. Rabi says. 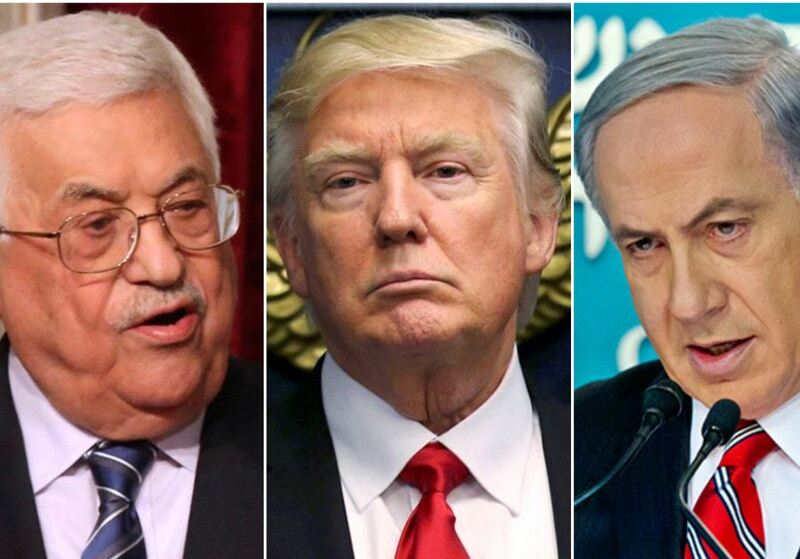 According to the report, Trump’s administration have taken several steps to put “great” pressure on to the Palestinian leadership to accept the deal. This included the confirmation of the PLO as a terrorist organisation, the closure of the PLO office in Washington, as well as the decision to cut aid to the UN Relief and Works Agency for Palestine Refugees in the Near East (UNRWA). “Even though with his rethoric Mahmoud Abbas is trying to fight back in every way against Trump’s Deal, in my opinion, he doesn’t have any option but to dissolve the Palestinian Authority and give the word to the people. That’s the only way the Palestinians could start again with a new fair peace process with their Israeli counterparts.” Mr. Jaber stated. Trump’s plan would include a two-state solution in which the Palestinians will have their own State demilitarized but with a strong police force and the presence of Israeli forces along the Jordan River. A safe passage between the West Bank and the Gaza Strip shall be granted under Israeli control as well the security of the international borders, that will see Palestinian participation with the Israeli Army.